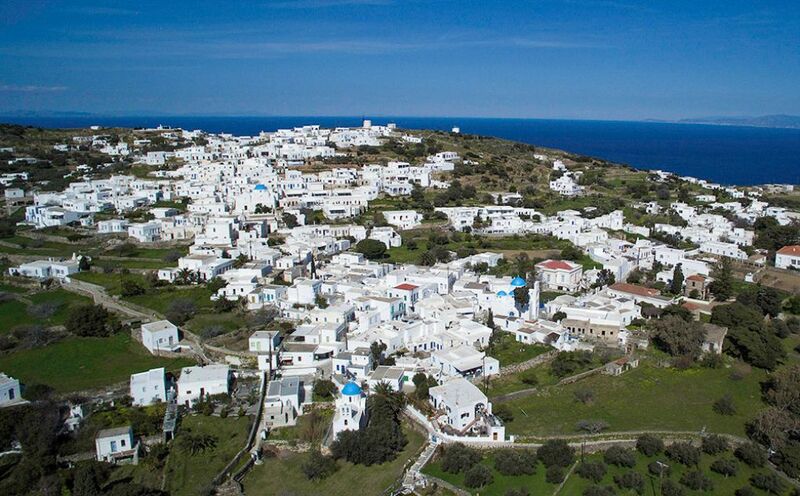 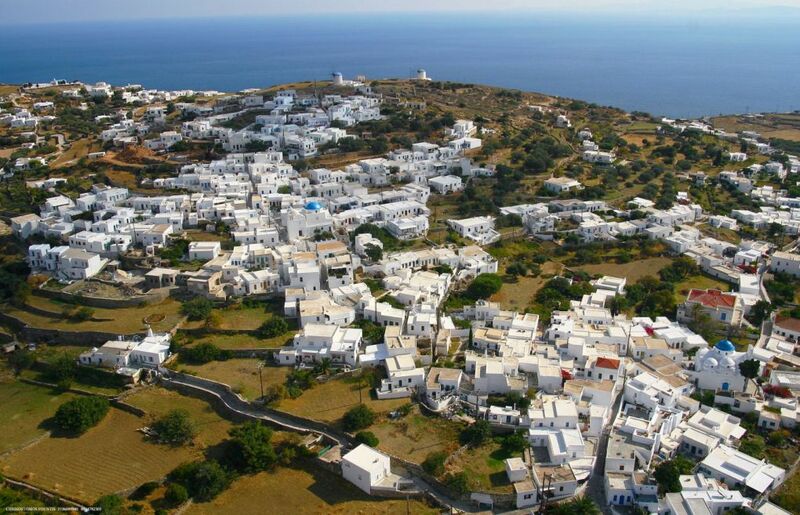 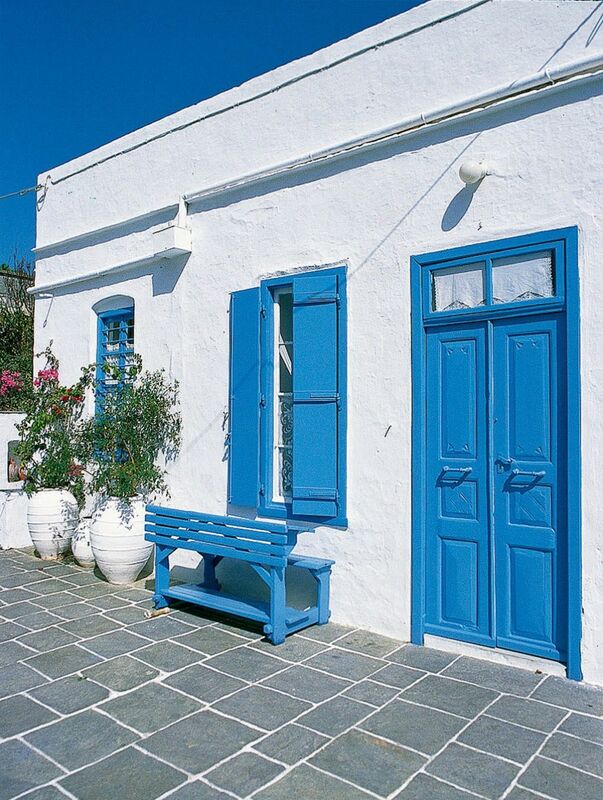 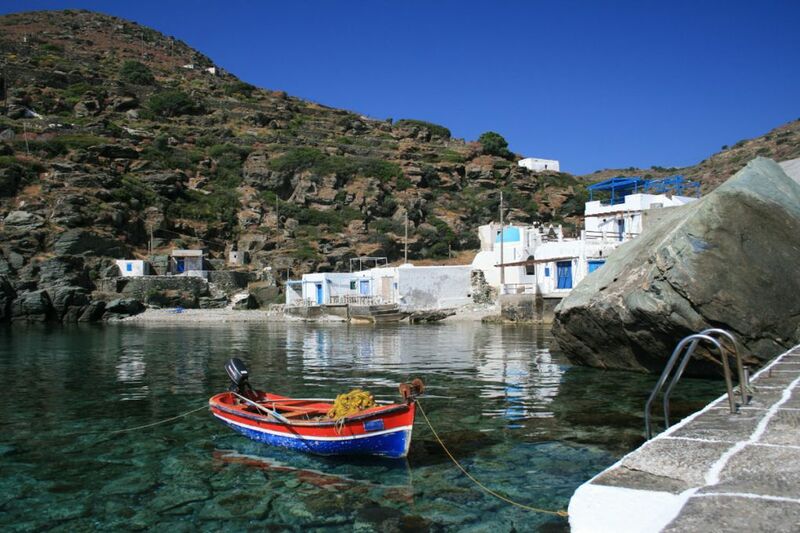 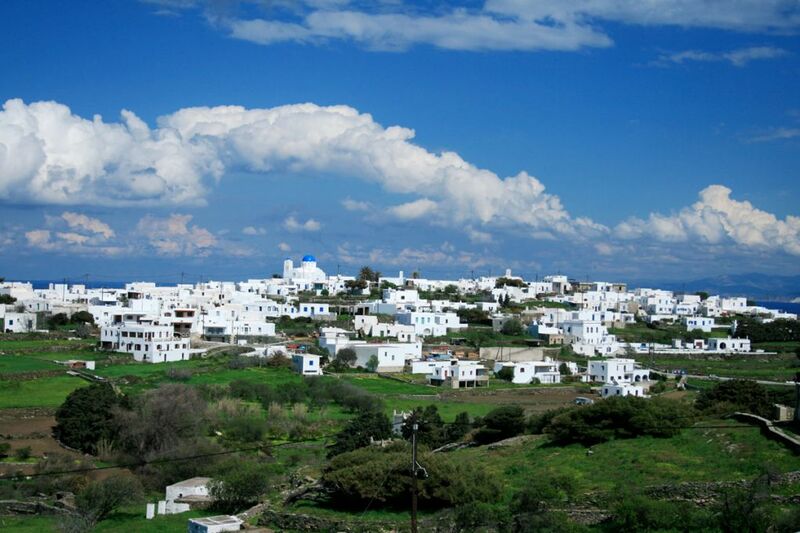 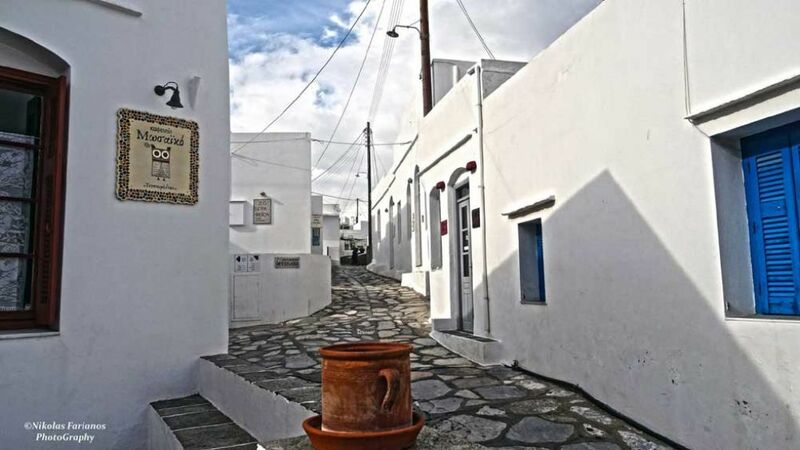 Artemonas is located one and a half kilometer to the north-west of Apollonia and with its labyrinthine alleys it is the biggest village of the island. 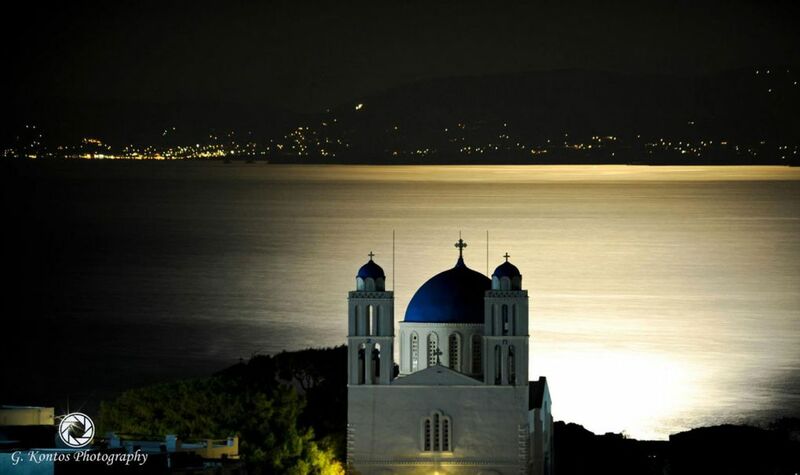 It took its name from the worship of the goddess Artemis on the island in the ancient times (at the area where today is situated the village’s parish church of the Virgin Mary of Kochi). 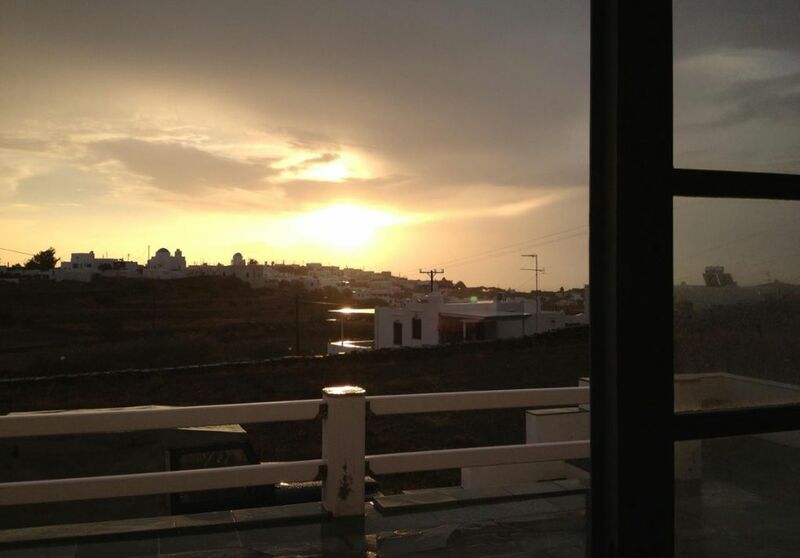 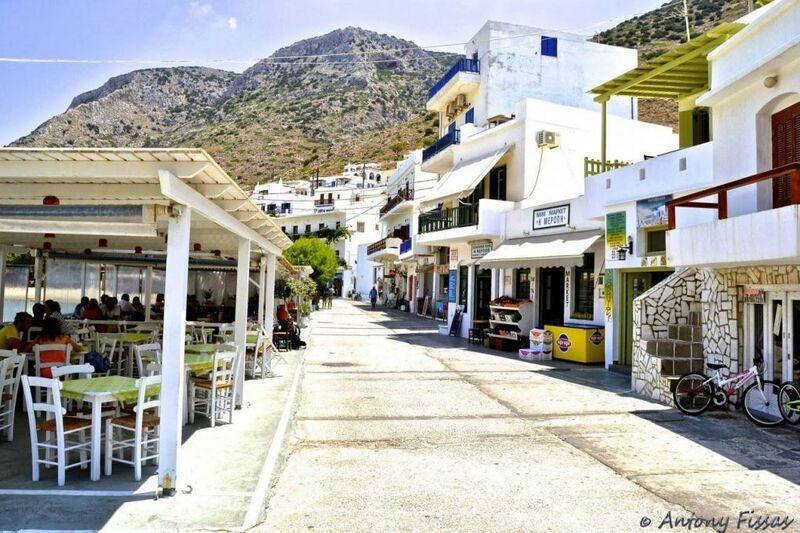 In Artemonas there is the bus terminus of all the buses of the island. 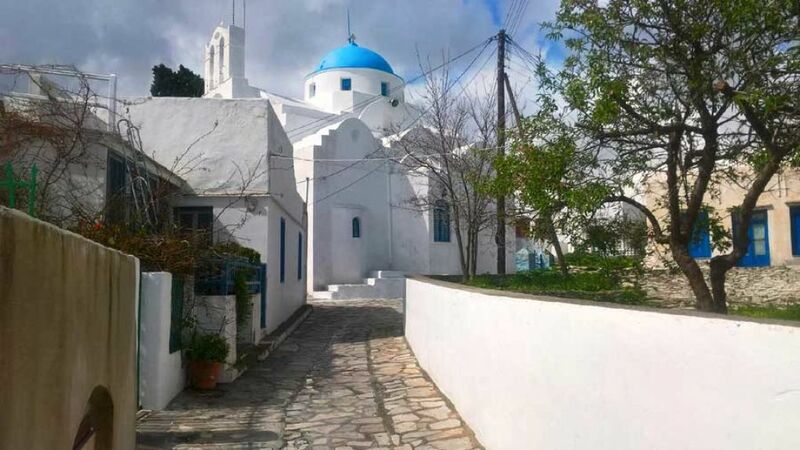 Here, you will find old remarkable churches, traditional bakeries and confectionaries, restaurants, rooms to let, apartments and hotels, as well as traditional potteries. 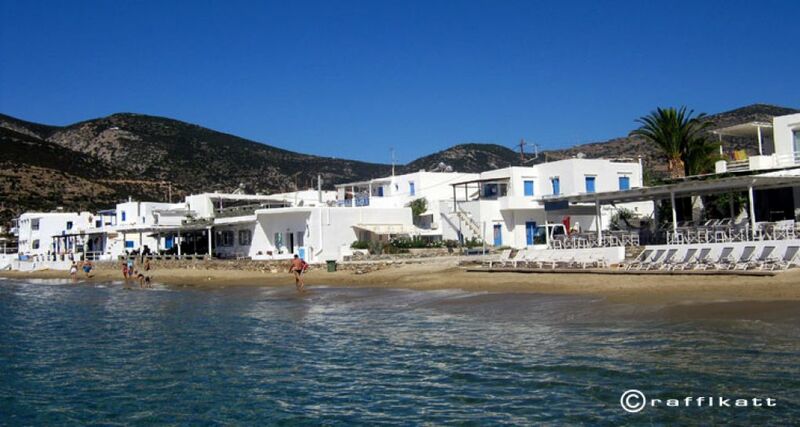 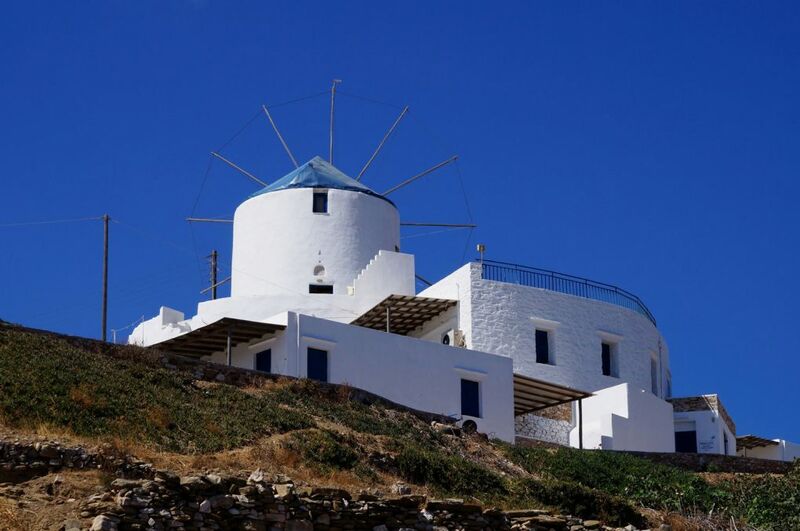 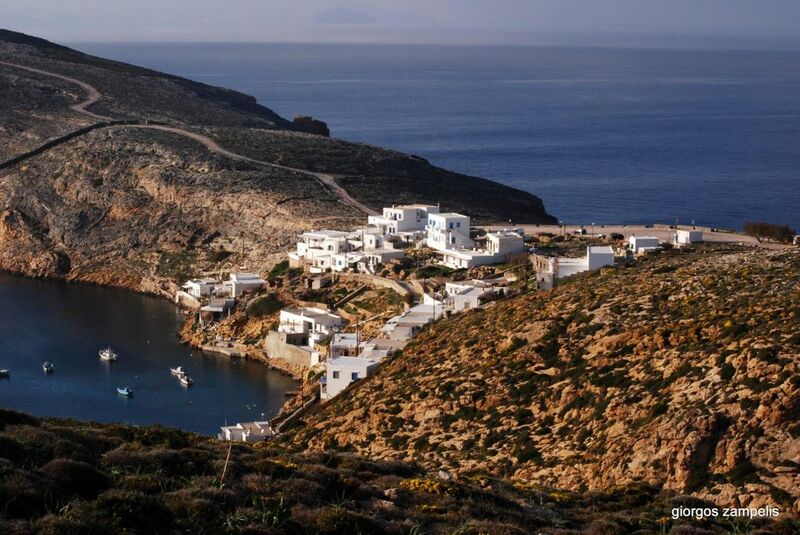 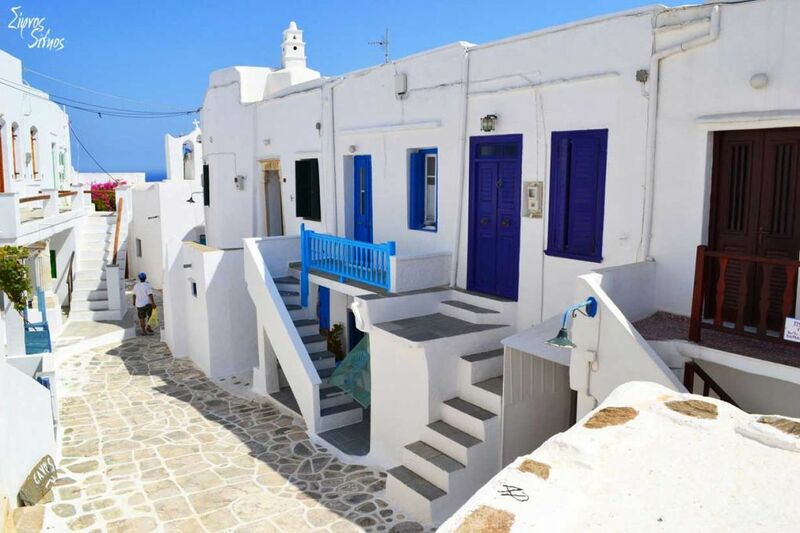 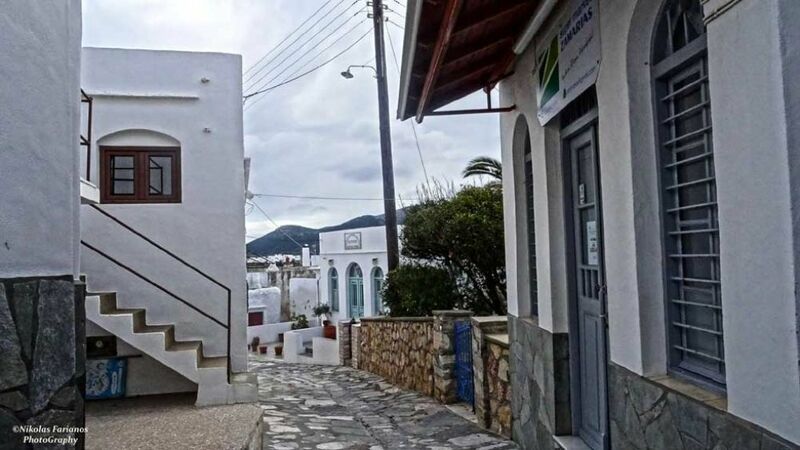 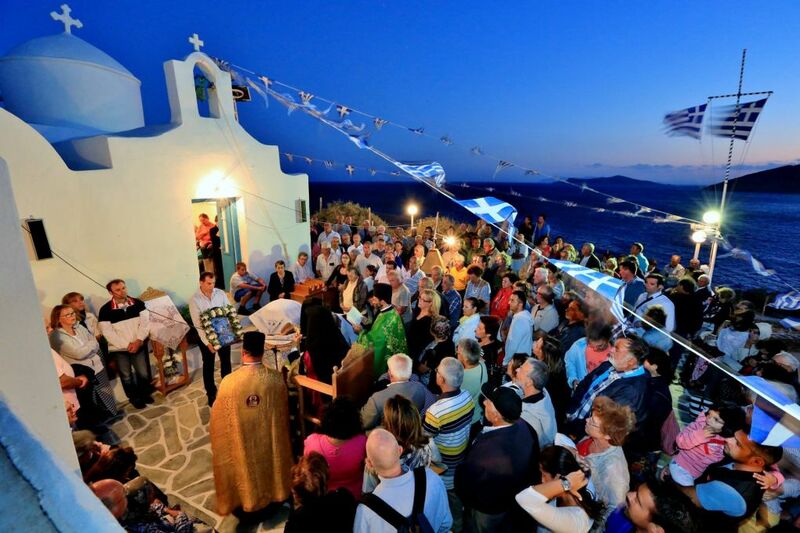 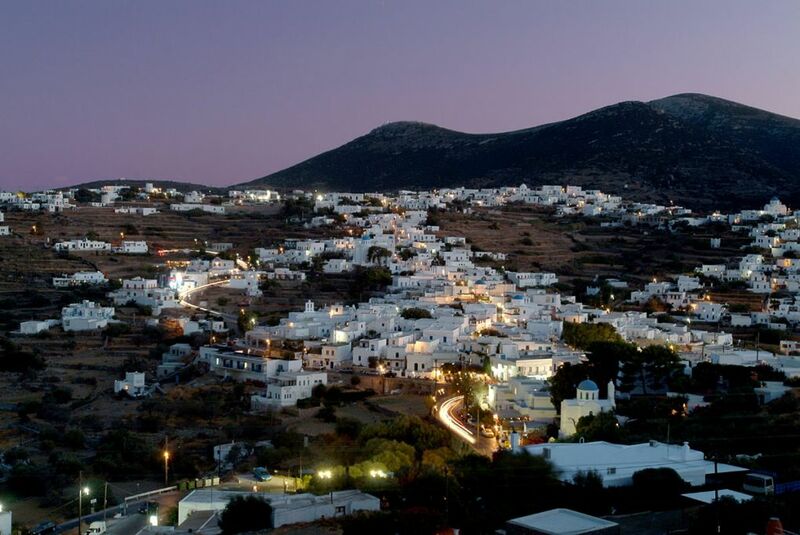 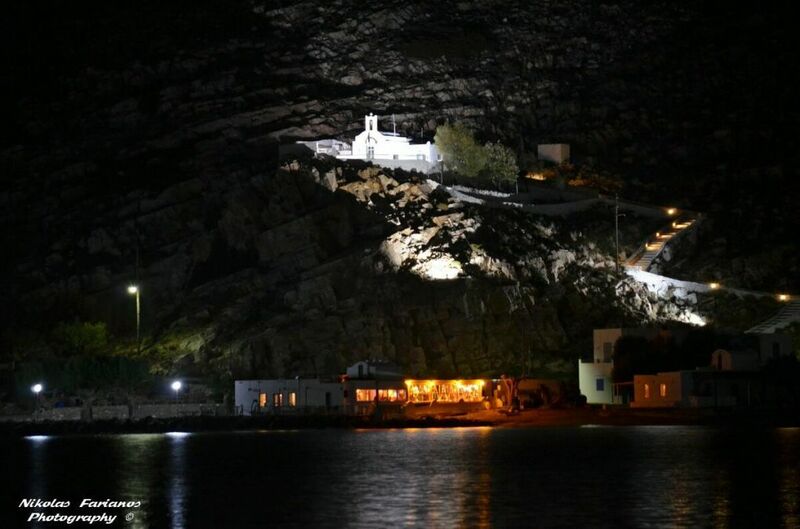 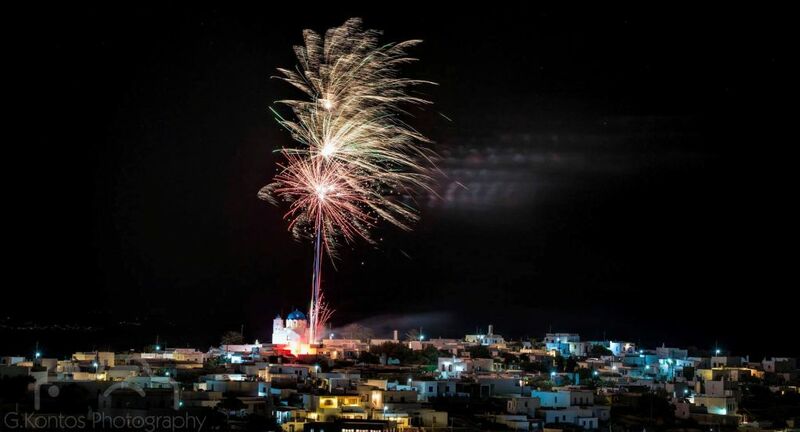 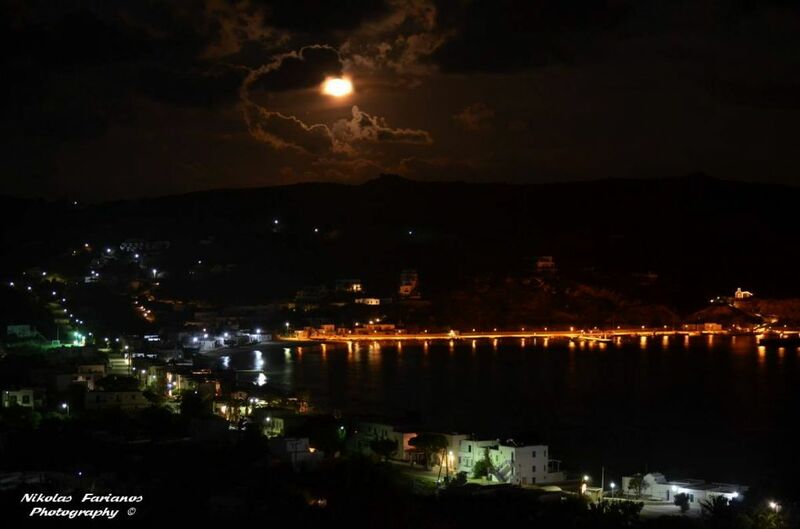 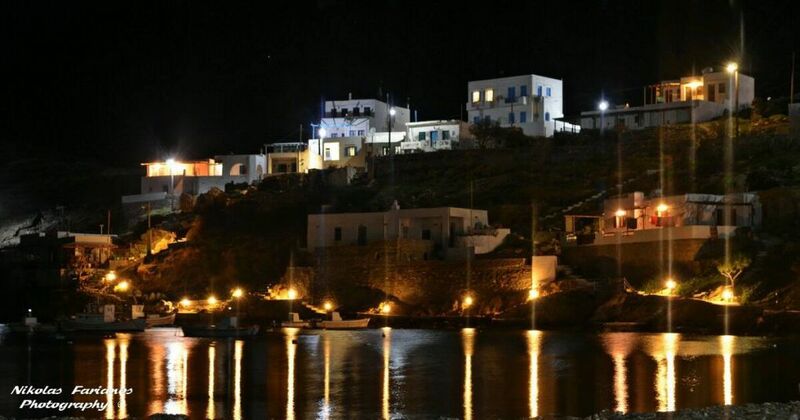 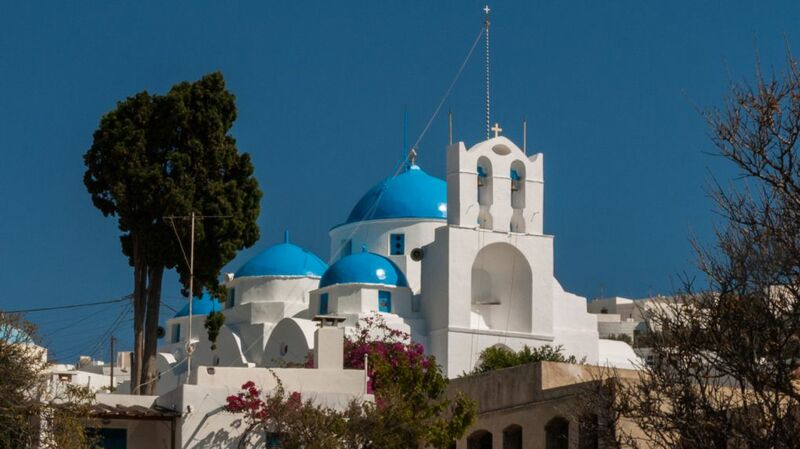 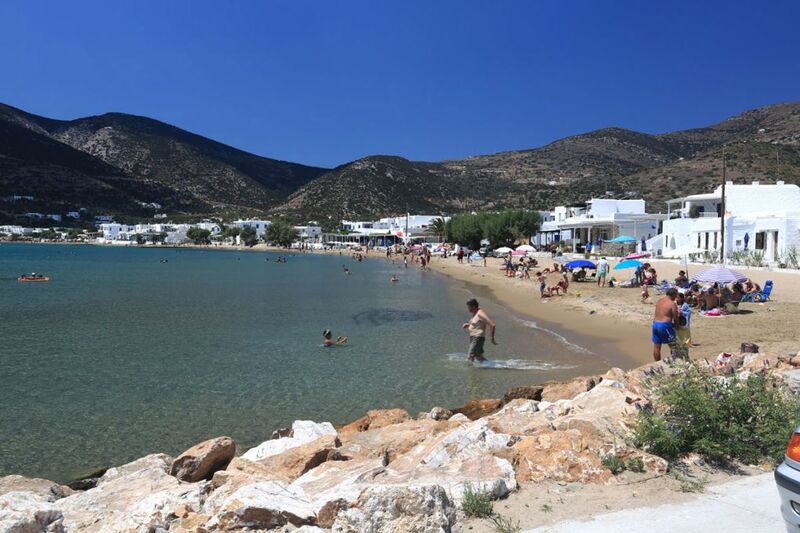 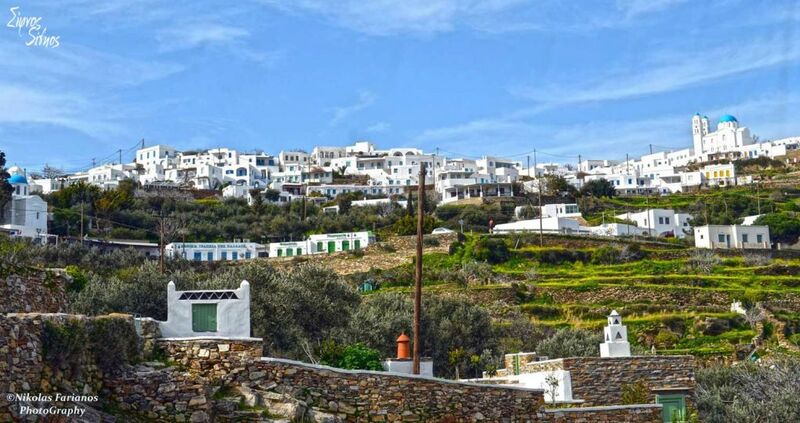 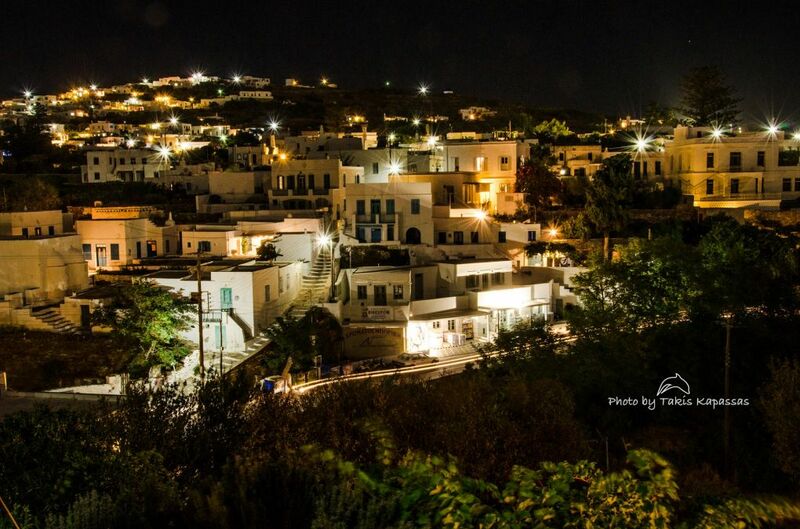 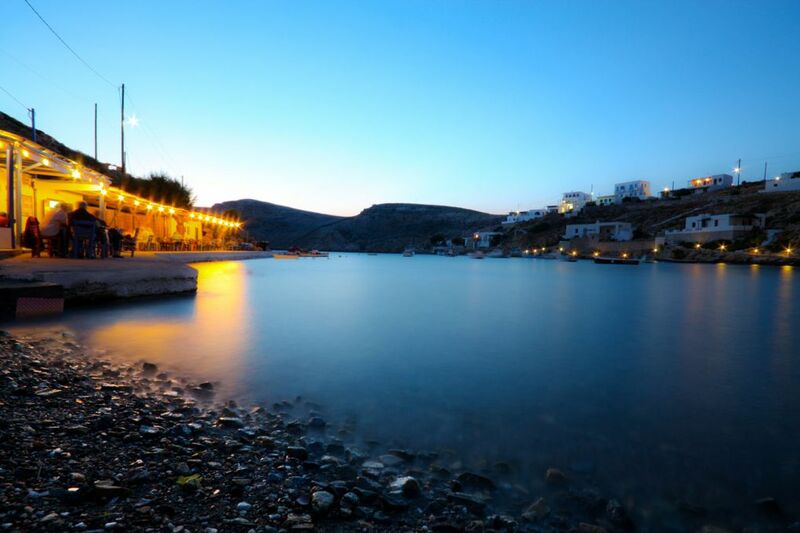 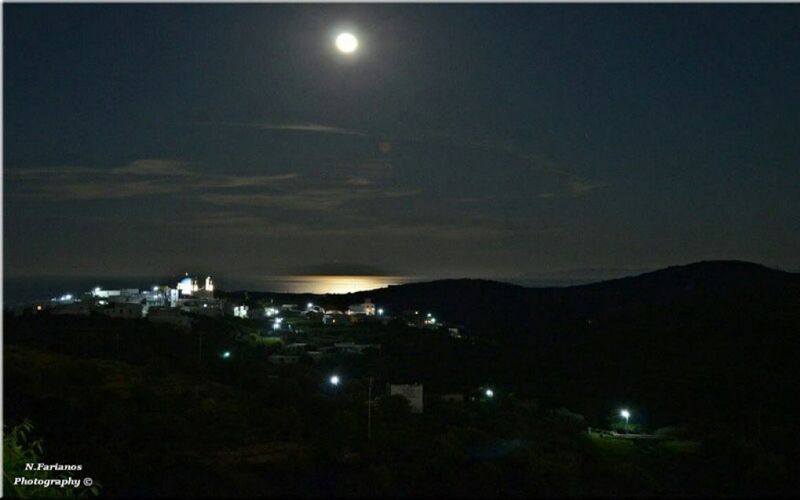 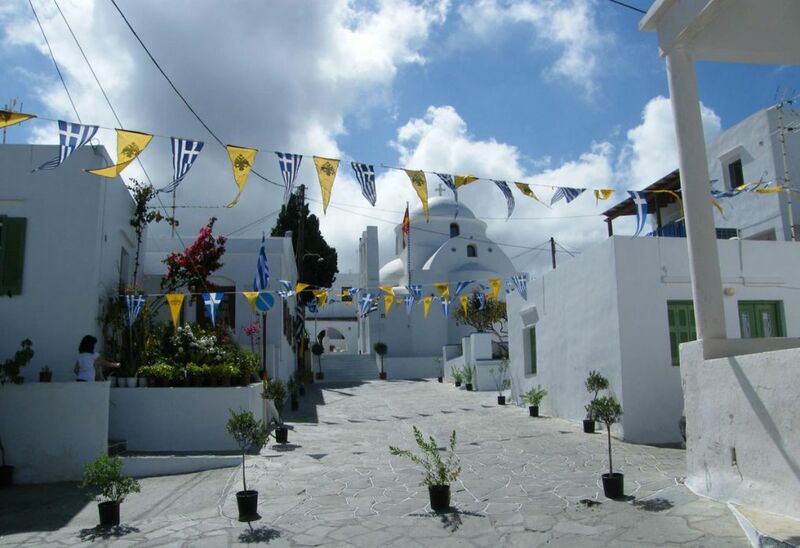 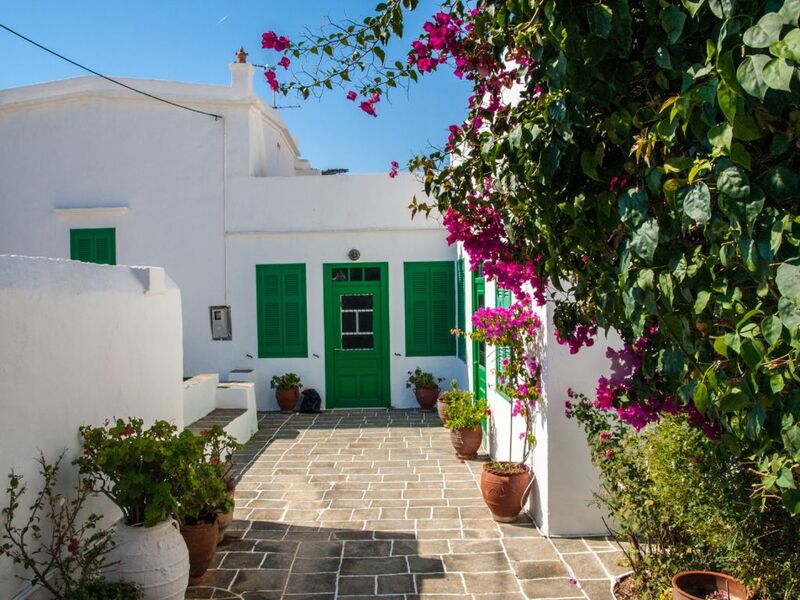 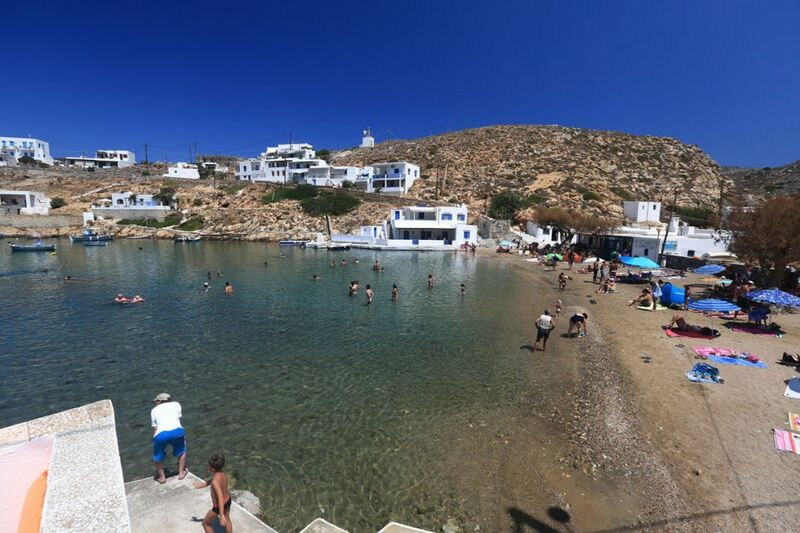 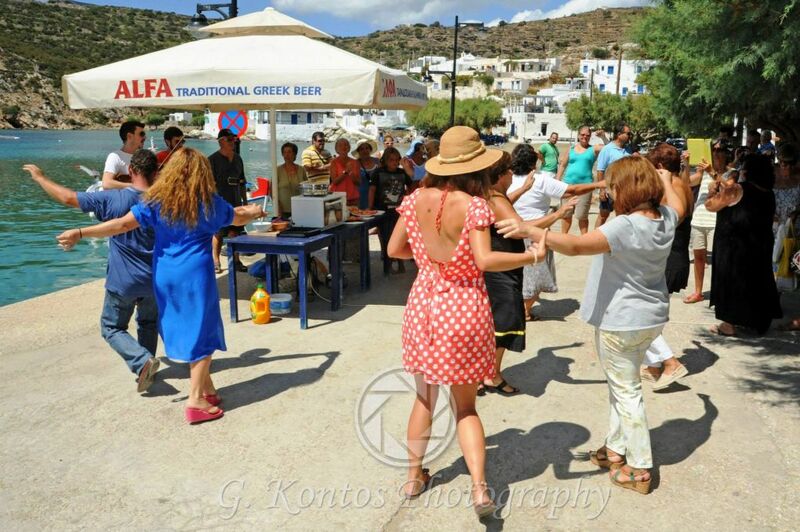 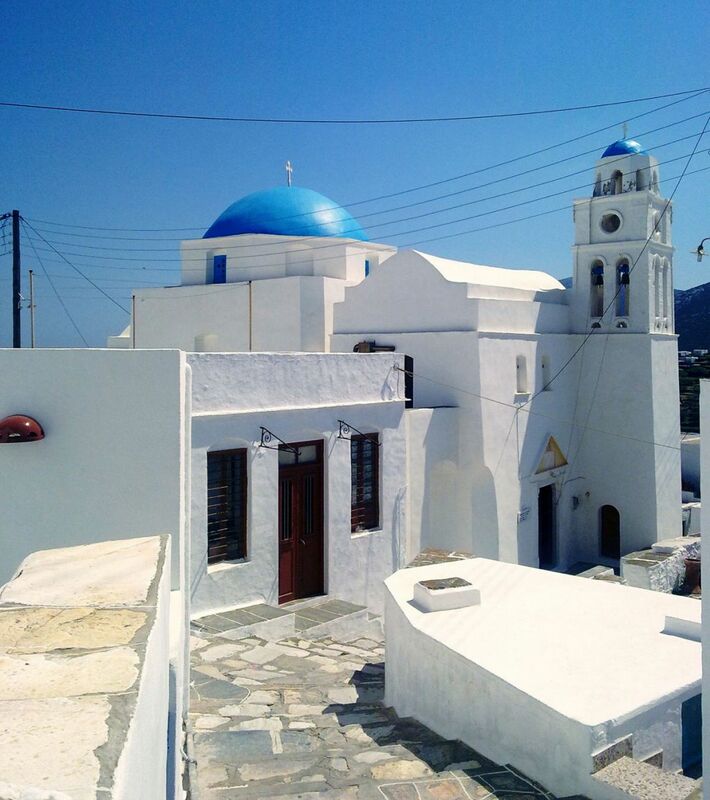 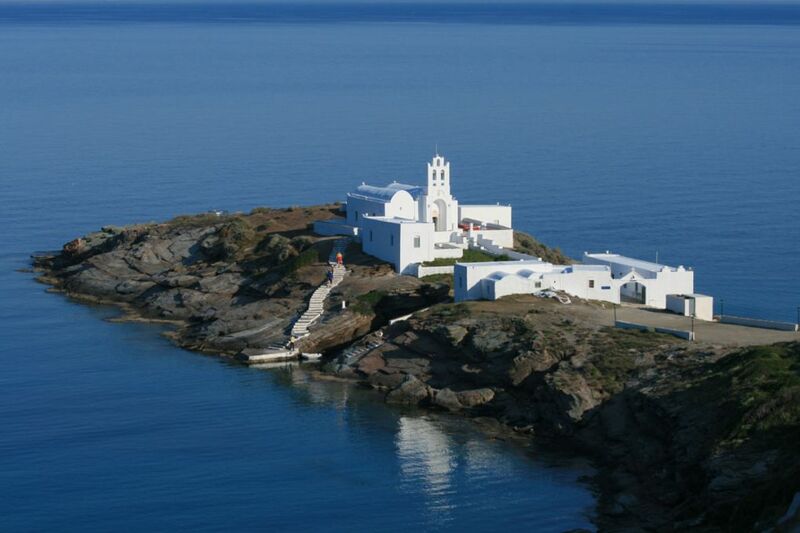 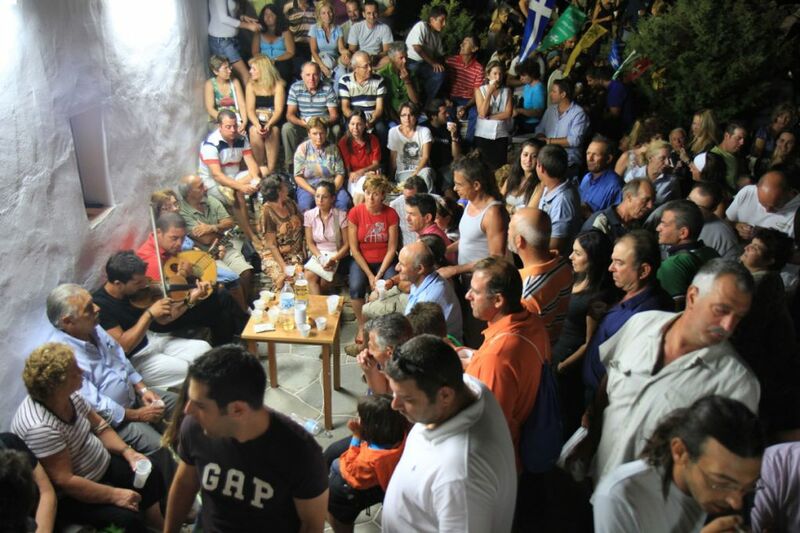 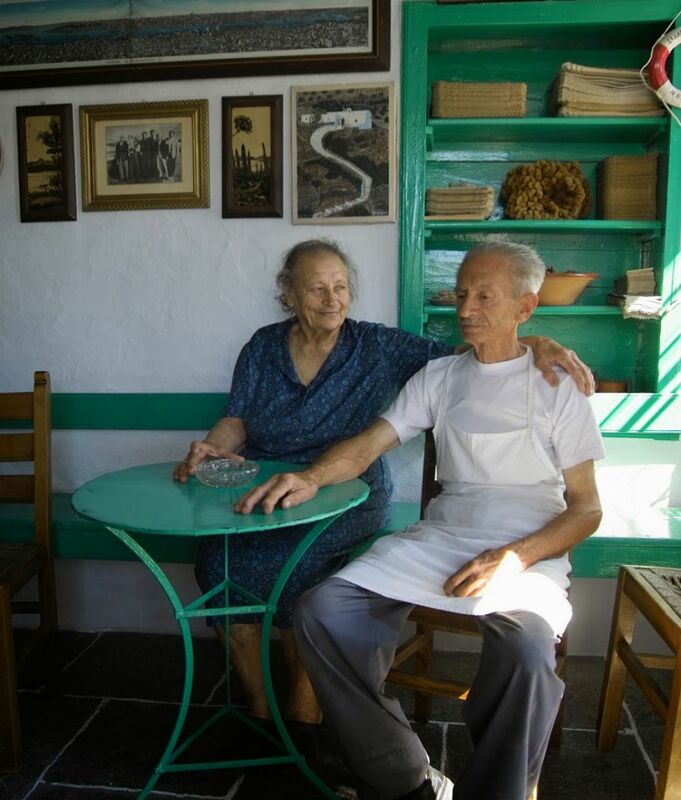 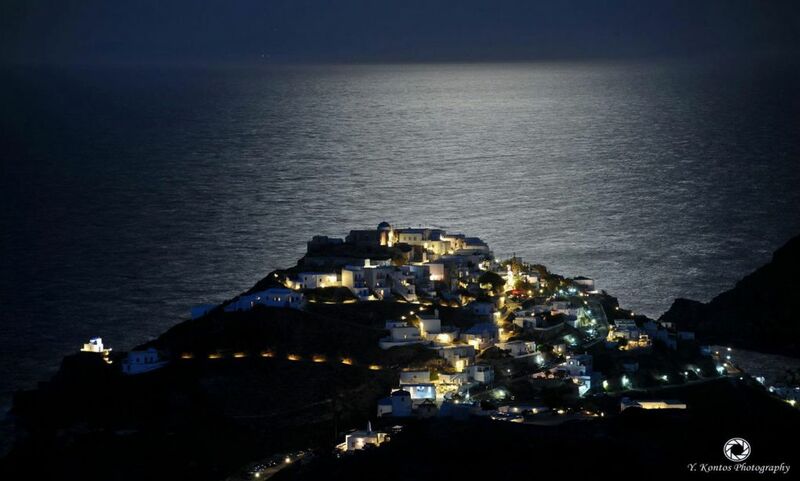 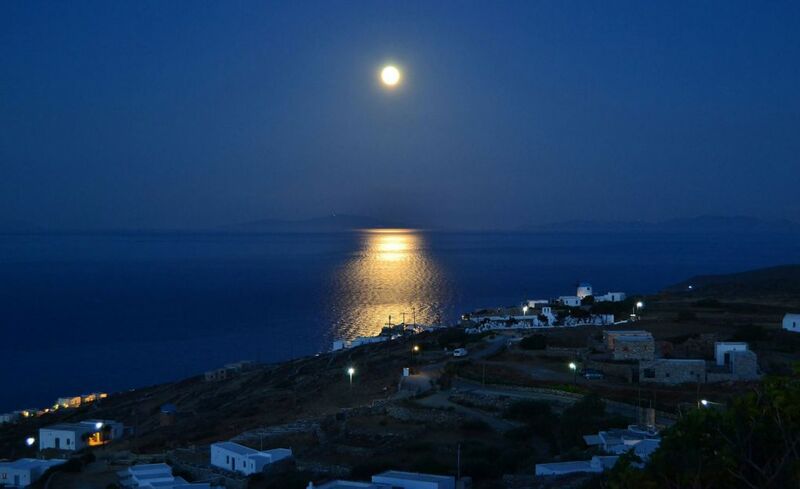 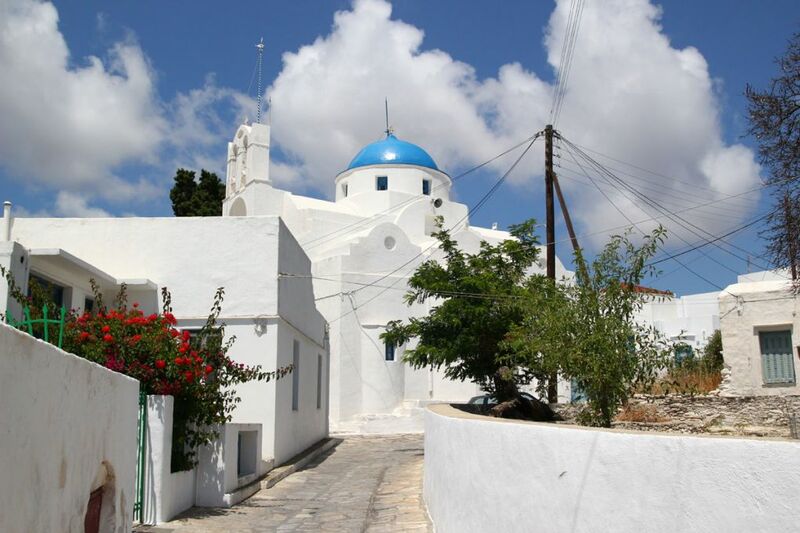 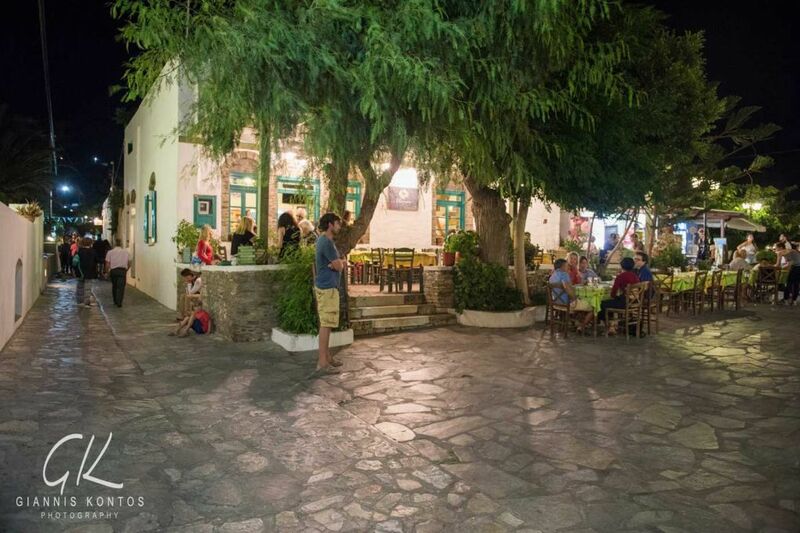 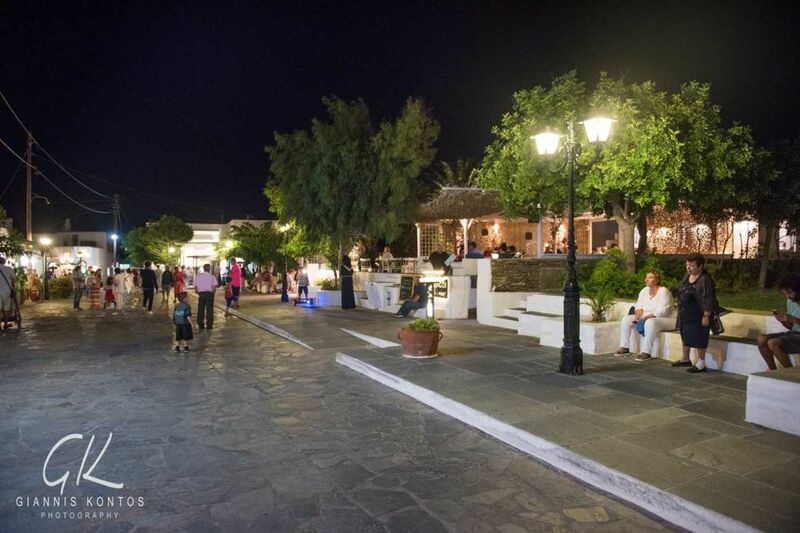 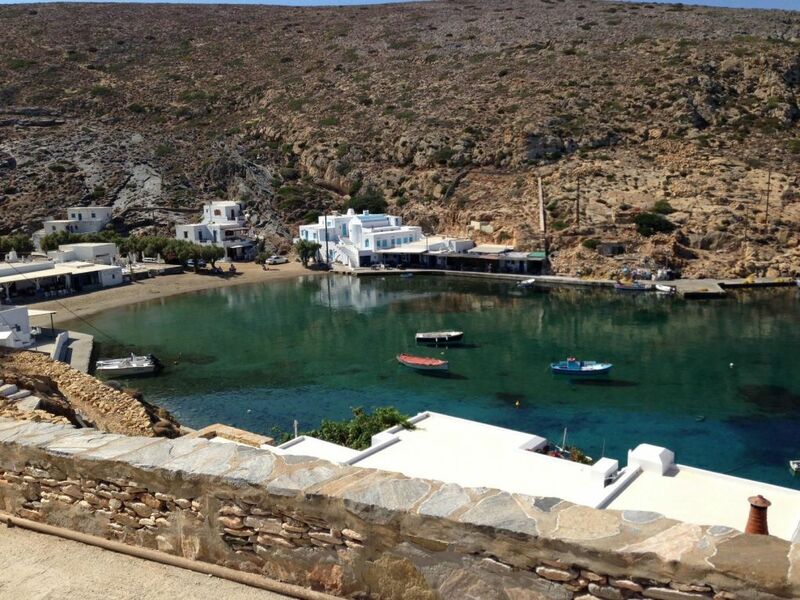 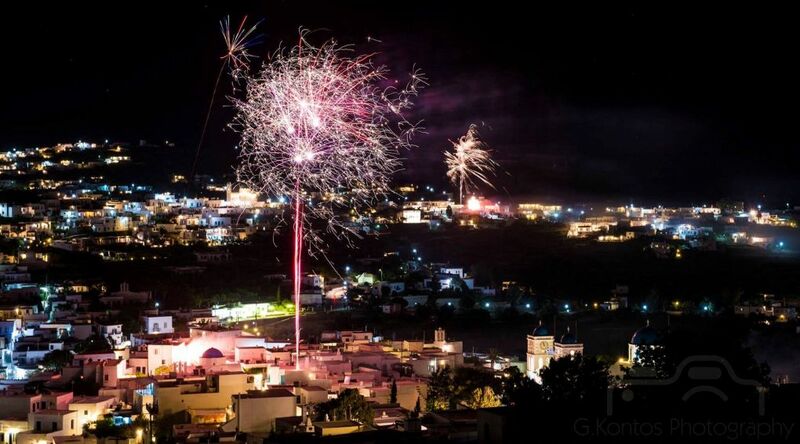 Next to the Virgin Mary of Bali (Panagia tou Bali), during the summer, the Cultural Association of Sifnos organizes an exhibition of folklore items under the title “Our houses in the old days – Giannis Atsonios”. 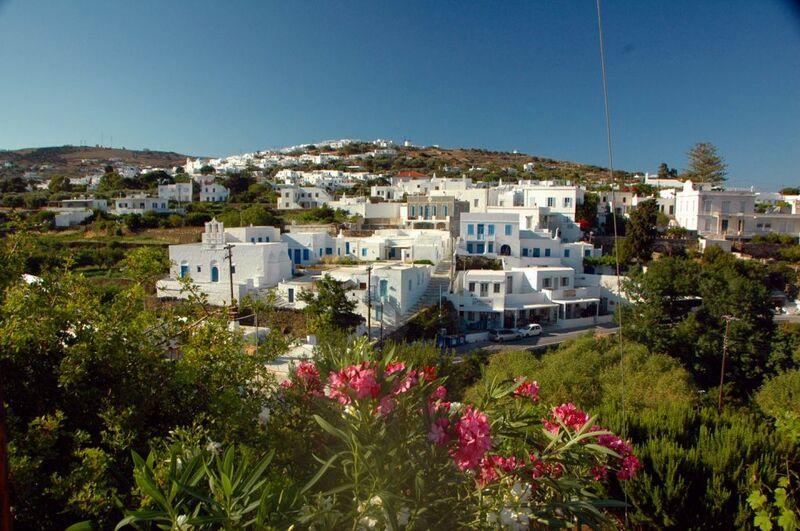 The wealth of Artemonas, which is the result of the economic prosperity of the island one and a half century ago – due to the fact that its population was employed in the navigation field, is reflected in the marvelous neoclassic buildings with their flowered yards mainly on the central path of the village. 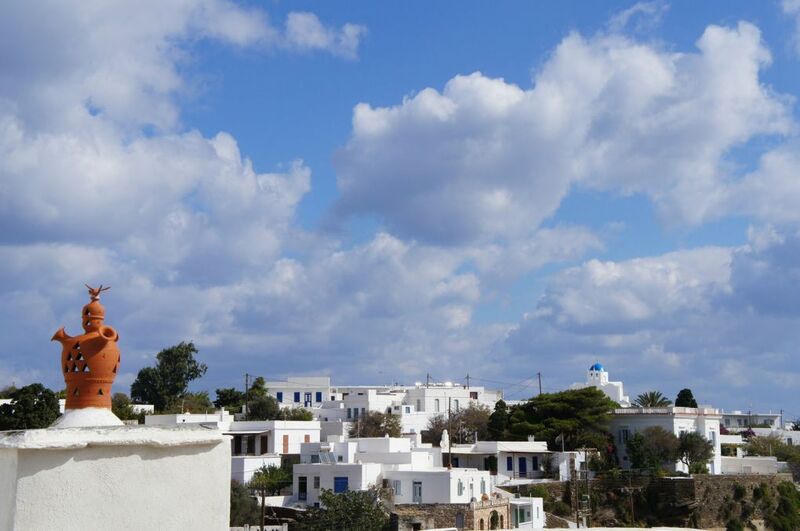 The view from many spots of the village is magnificent. 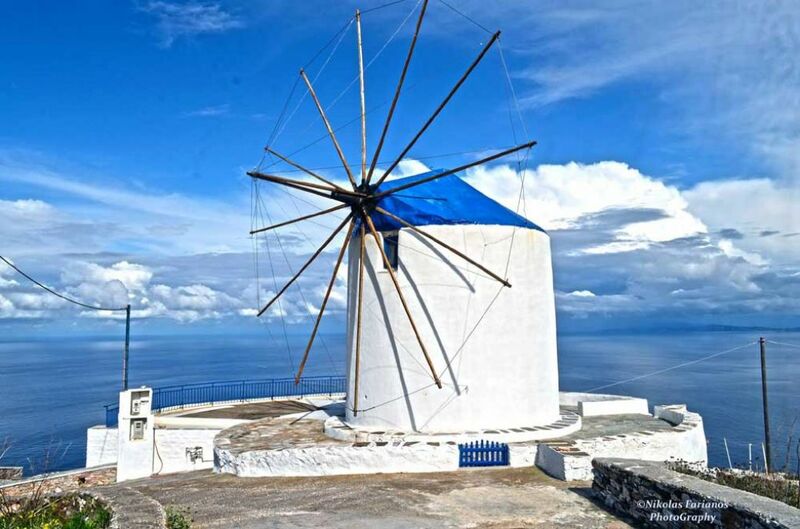 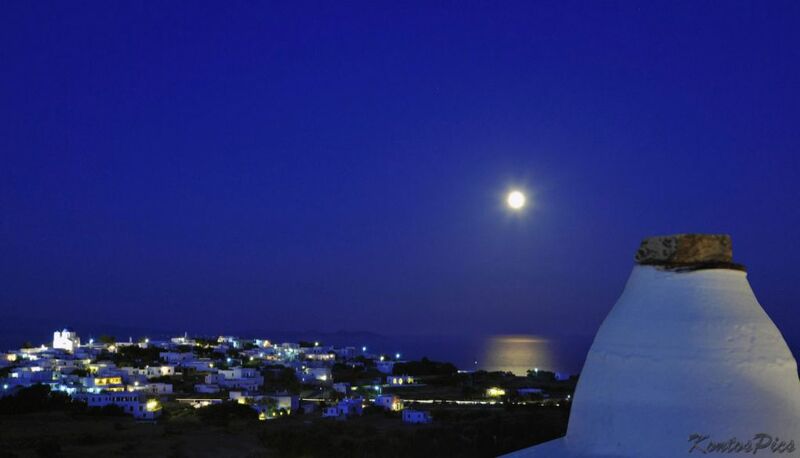 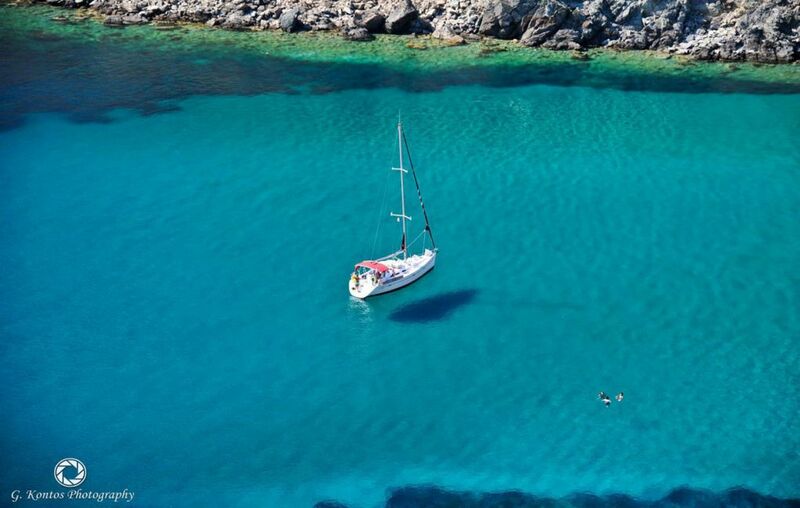 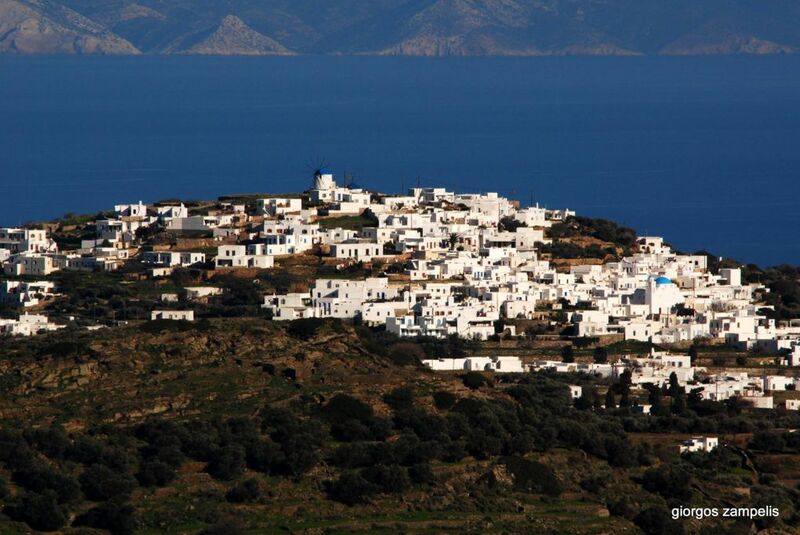 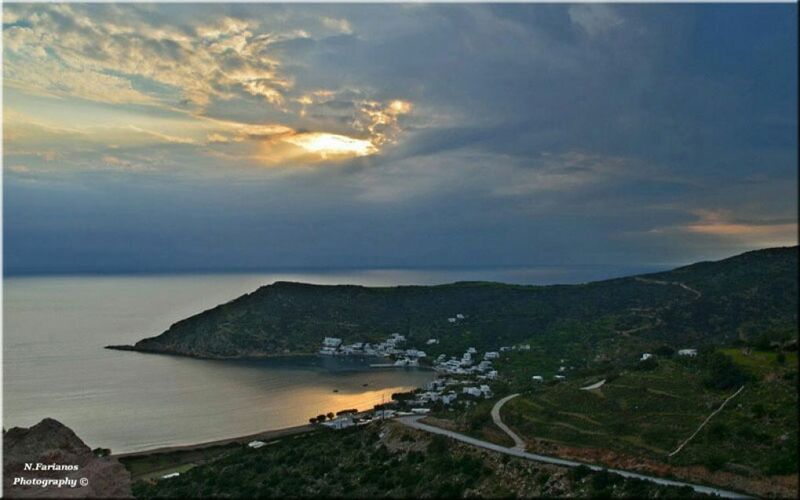 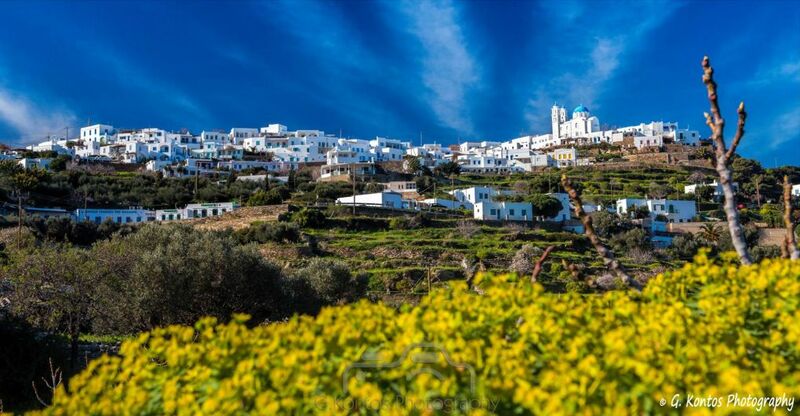 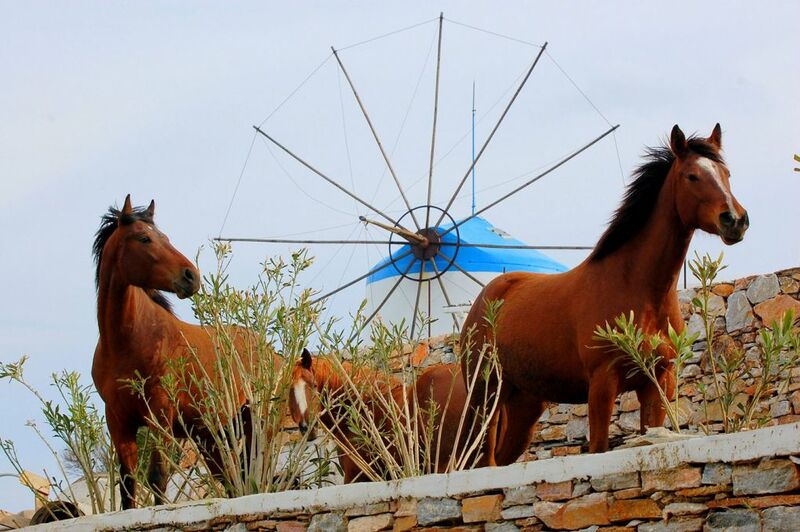 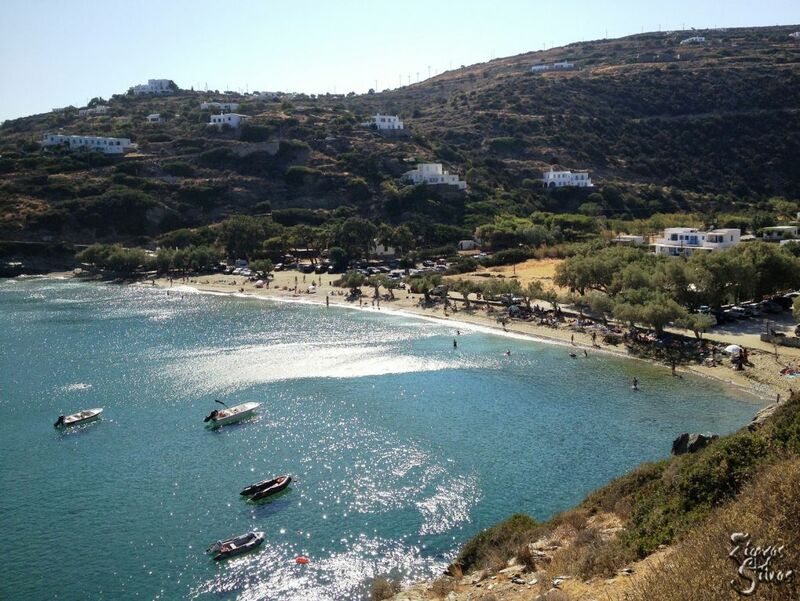 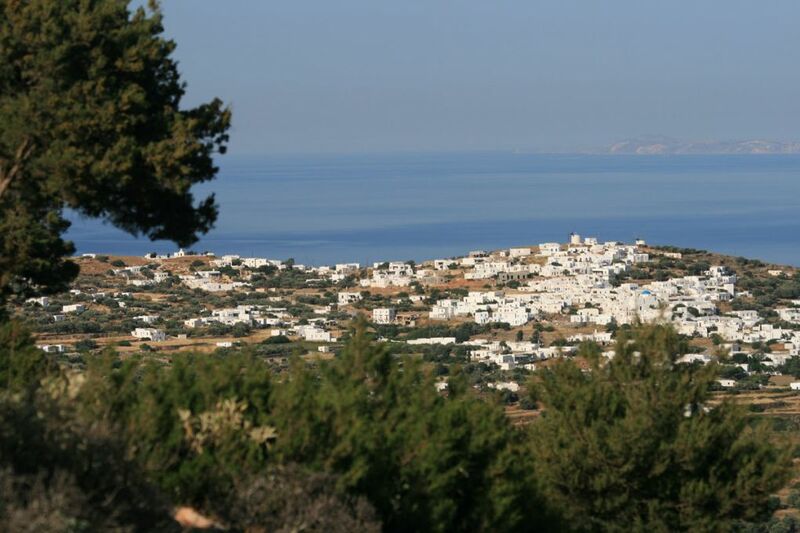 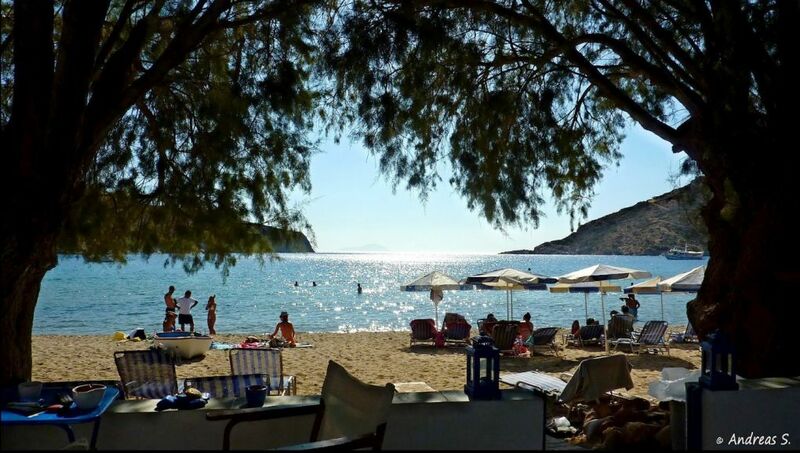 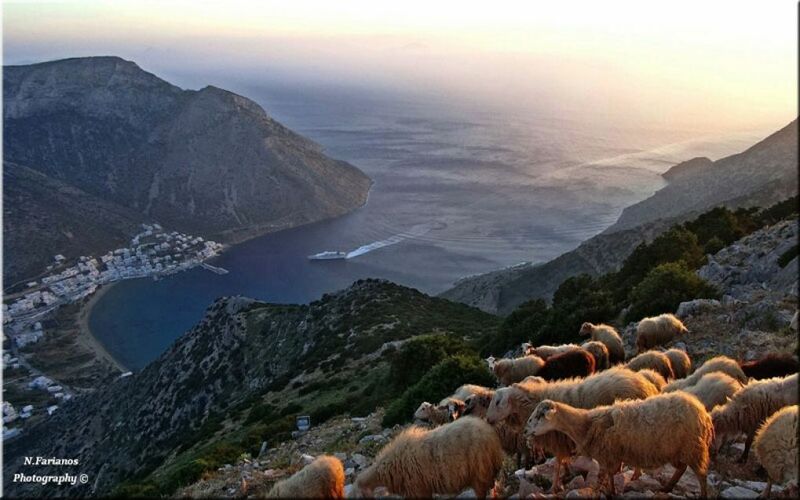 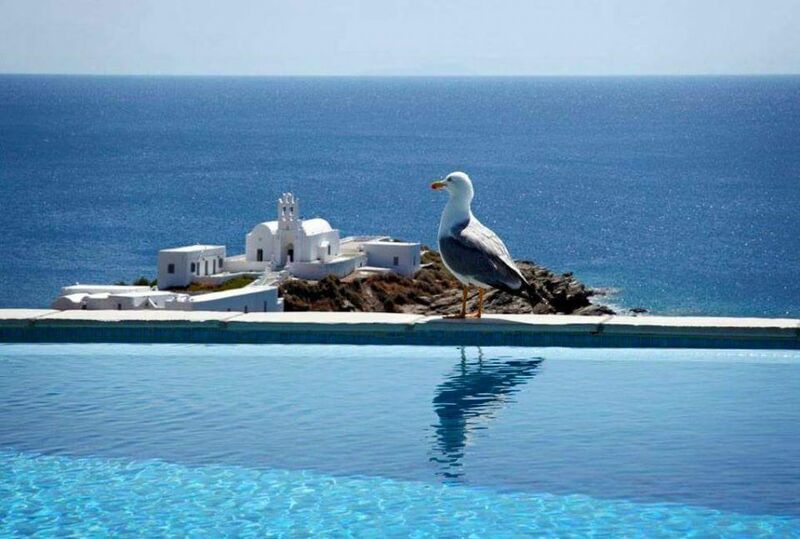 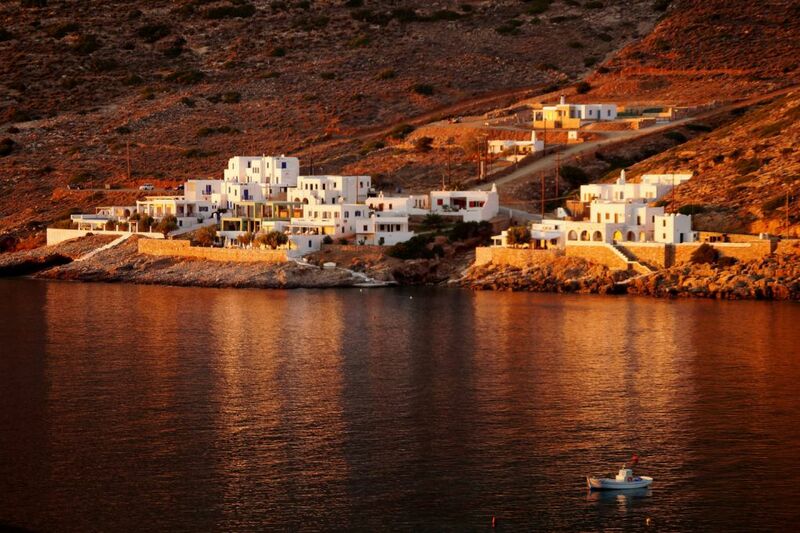 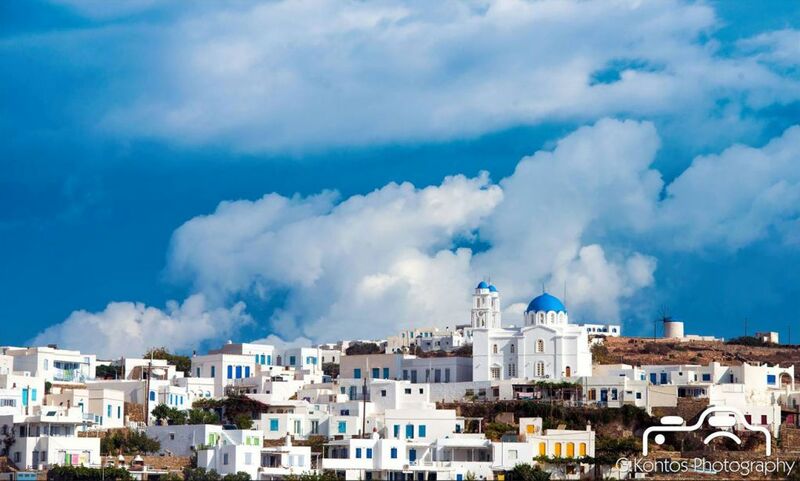 From the area of the windmills (at the east side of the village) also known as the “Bella Vista”, the view of the village of Kastro from above, of the sea and of many other islands of the Cyclades complex is spectacular. 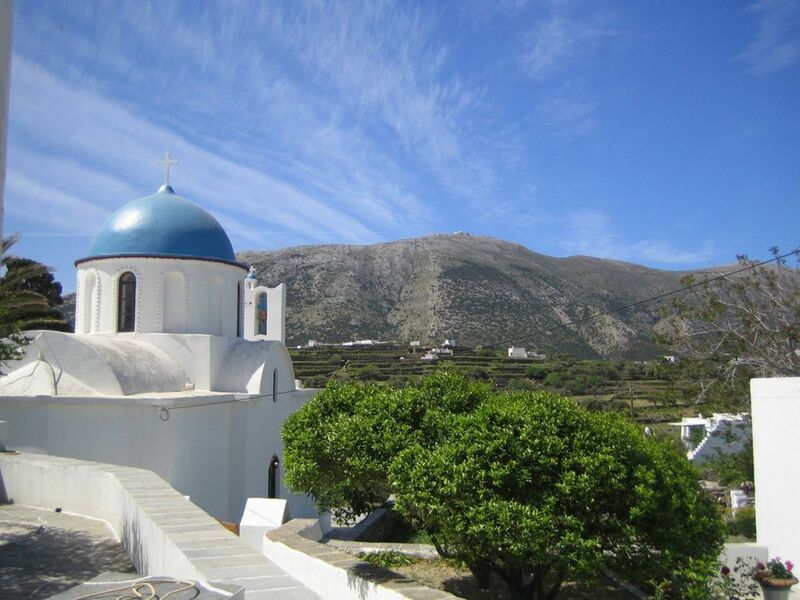 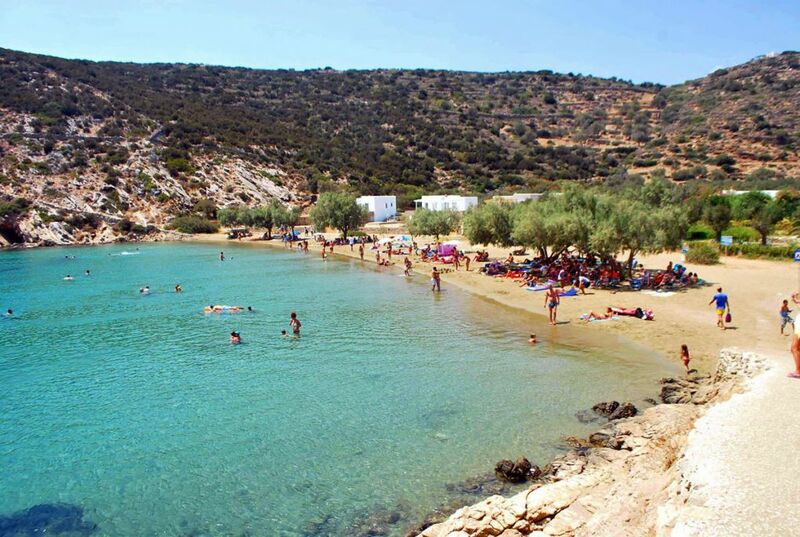 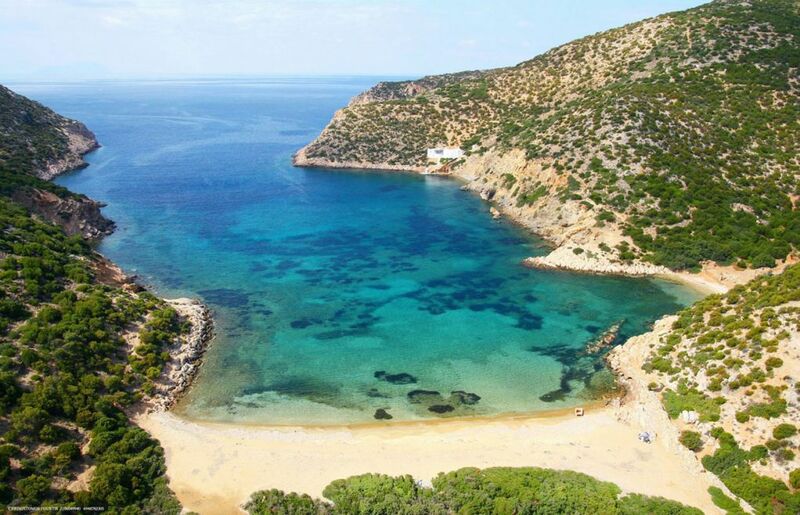 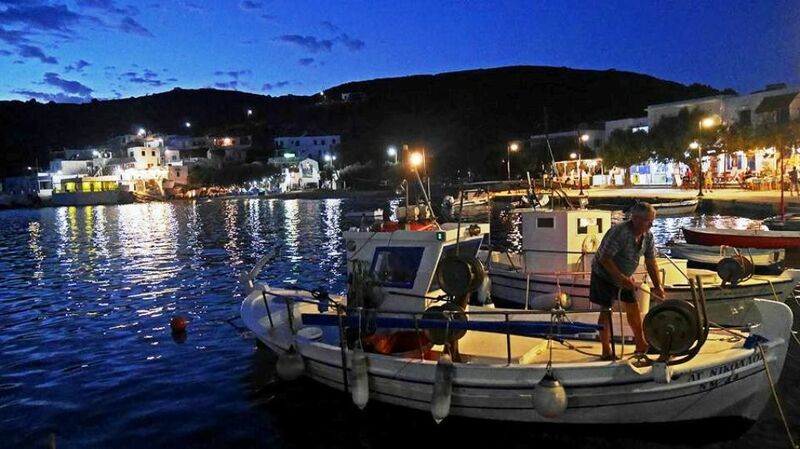 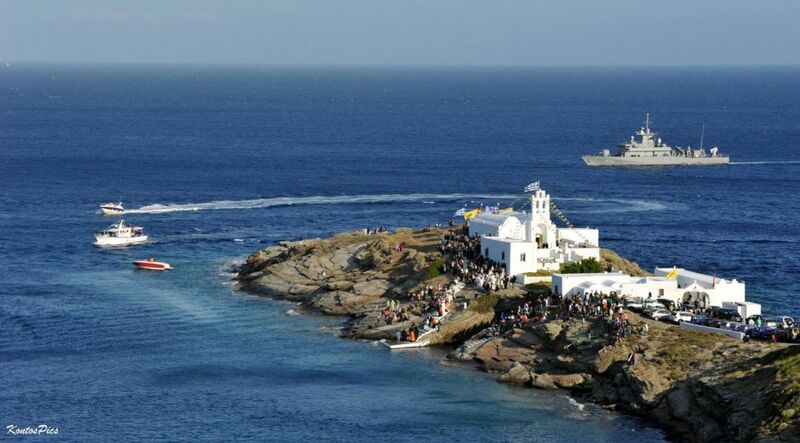 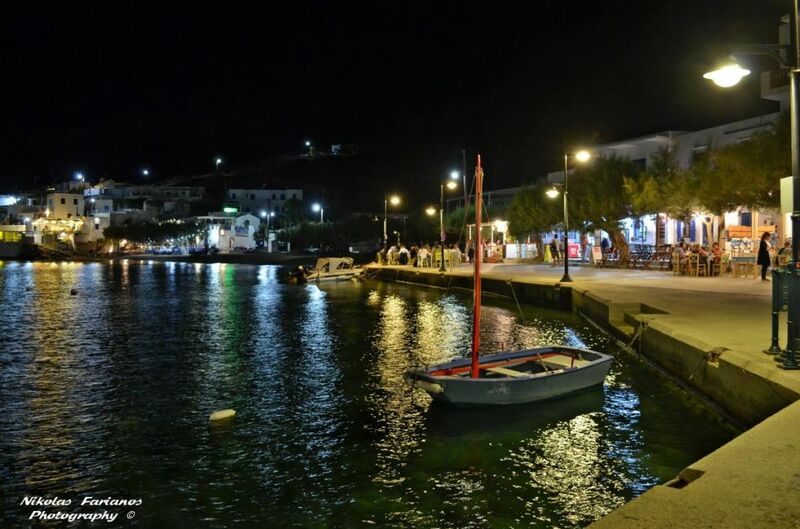 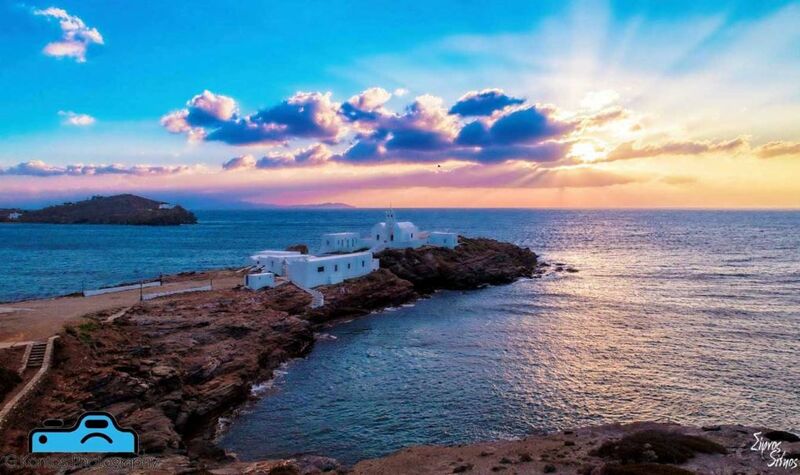 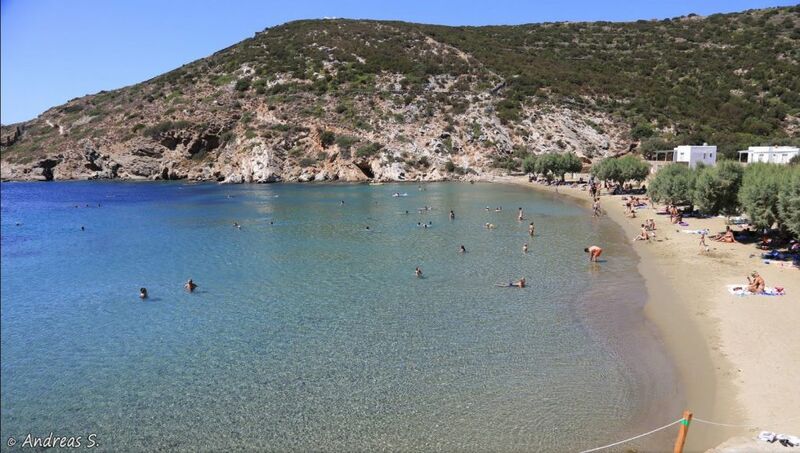 Artemonas is the native village of Nikolaos Chrissogelos, the great teacher of the nation, national fighter and first Minister of Education of the Modern Greek State, who was the founder of the mutual instruction method and of the elementary education. 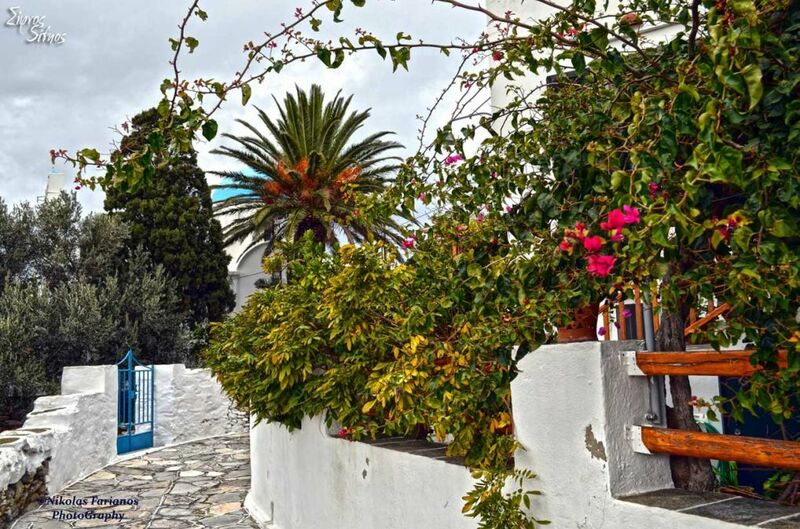 His bust is situated on the homonymous square, next to the offices of the Local Community of Artemonas and of the Citizens’ Service Center in Agios Loukas. 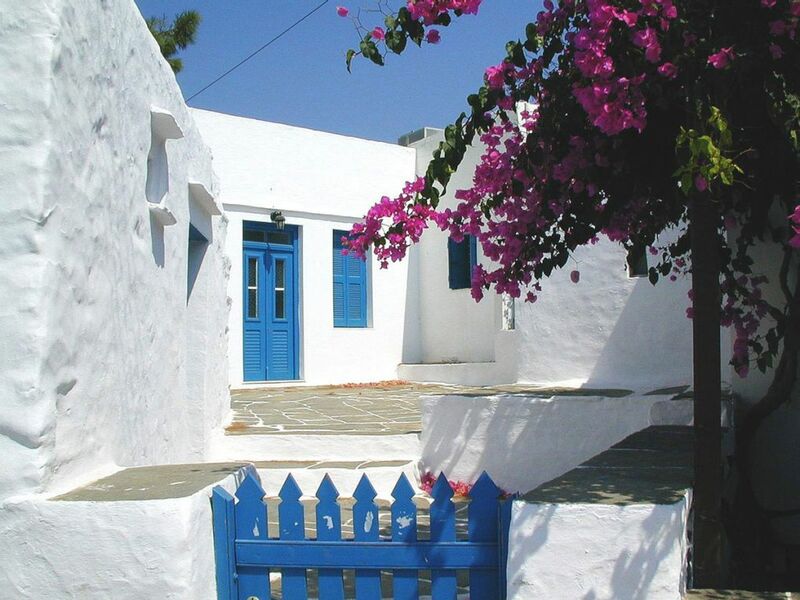 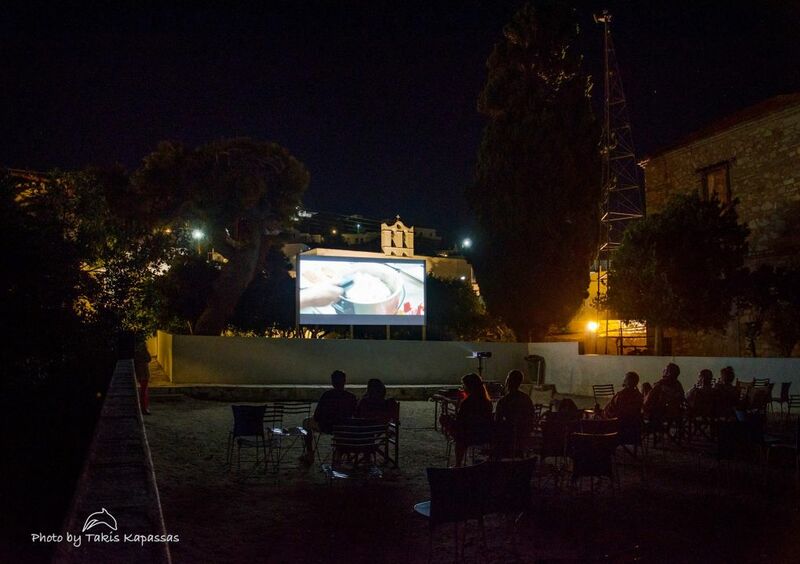 Artemonas is also the birthplace of the distinguished philologist, poet and translator Ioannis Gryparis, who was the first general director of the National Theater who was honored by the Academy of Athens with the Award of Excellence in Arts and Letters. 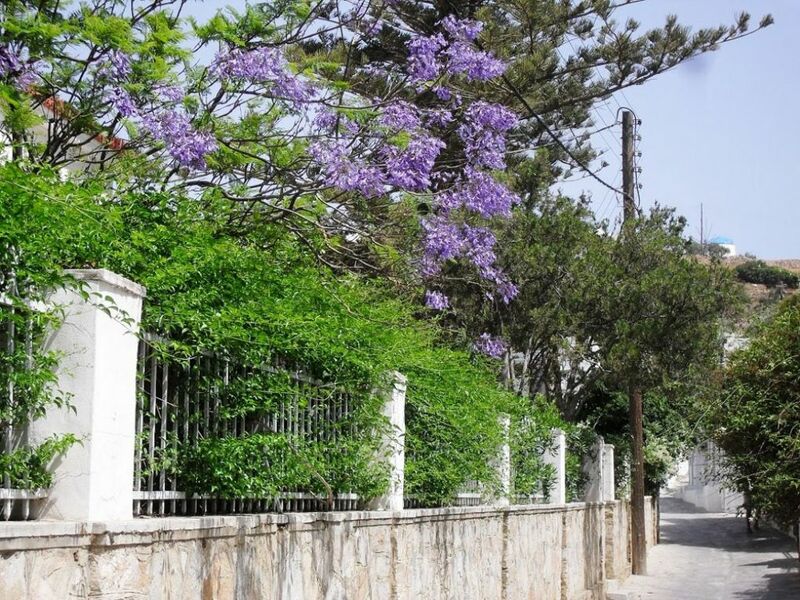 The wall of his house, on the homonymous street of Artemonas, is hung with marble indicating plates by the Association of Sifnians and by the Society of Greek Writers. 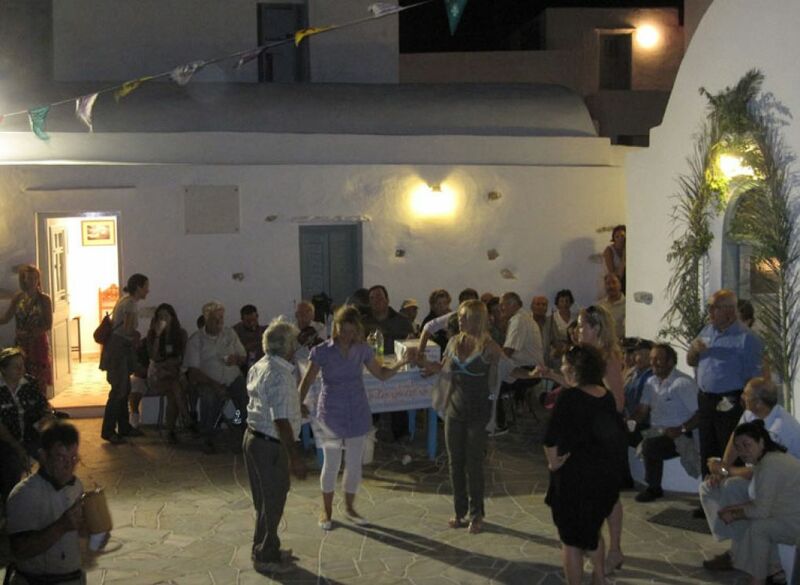 The three-day Festival of Cycladic Gastronomy “Nikolaos Tselementes” is organized every September by the Cultural Association of Sifnos, in Artemonas, with the participation of chefs, musicians and dancers coming from many islands of the Cyclades complex, with demonstrations of local recipes, cooking and pastry making contests and many more concurrent events and exhibitions.